Both sides of this King single were penned by Rudy Toombs, who also composed a number of songs recorded by (mostly) King artists, including “Lonesome Whistle Blues” (Freddy King); “I’m Shakin’” (Little Willie John); “It Hurts to Be in Love” (Annie Laurie); “One Scotch One Bourbon One Beer” (Amos Milburn); “Greyhound“; (Wynonie Harris); “Love Struck” (Rusty York); “Rain Down Tears” (Hank Ballard); “Half Pint-a-Whiskey” (Johnny ‘Guitar’ Watson); “Home at Last” (James Brown); “You Can’t Hide” (Lula Reed & Freddy King w/ Sonny Thompson Orchestra); “Thief in the Night” (Teddy Humphries); “Let’s Walk” (Charles Brown w/ Johnny Moore’s Three Blazers); “I Get a Thrill” (The Honeydrippers); “One Mint Julep” (The Clovers); and “5-10-15 Hours” (Ruth Brown). Rudy Toombs fans can browse this related set of single releases, as well as this corresponding record set in Discogs, in order to get a broader view of his work (which included at least one instrumental — “Catnip” by Hal Singer and His Orchestra). 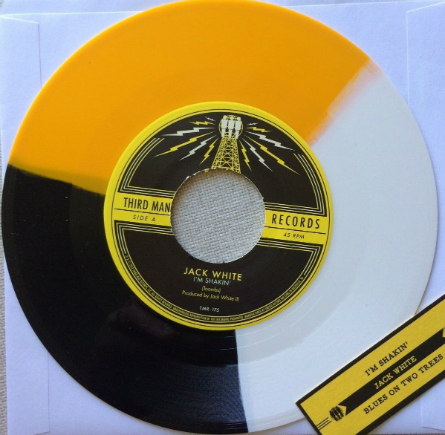 “I’m Shakin'” was revived again in 2012 as the A-side of a “tri-color” Jack White 45! R-T Pub. Co. (BMI) was one of the many publishing imprints that Syd Nathan at King shared with his favoured producers and songwriters. 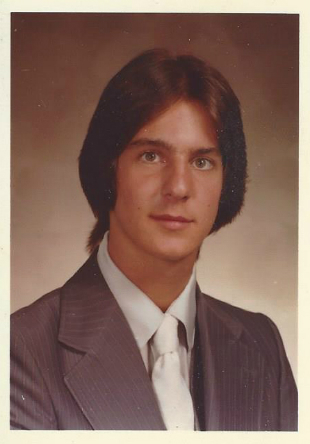 Rudy Toombs in New York had a share in R-T which was officially located at 1540 Brewster Avenue, Cincinnati along with all Nathan’s other ventures. Rudy Toombs was brutally murdered [by robbers in his Harlem apartment house] in November 1962 just a few months after this record was released and I guess R-T was folded into King’s flagship publishing imprint Lois. Winser King & Beverly Bridge. © R-T Pub. Co.; 20Jul62; EPI65838. DRY BONES TWIST; words & music Rudy Toombs. Note misspelling of Windsor King’s name in copyright registration. 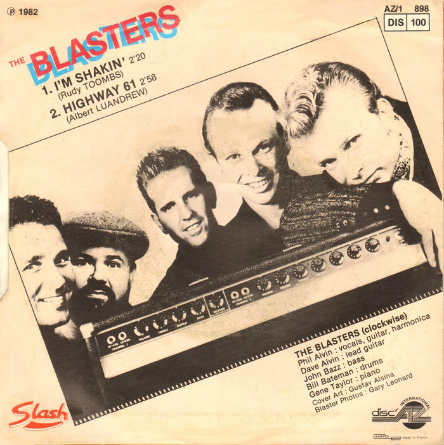 Both tracks recorded in Cincinnati April 12 1962. 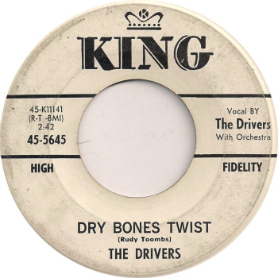 This 1962 single would also signal, coincidentally perhaps, the end of The Drivers’ recording career, whose first recordings for King were on its DeLuxe subsidiary label. 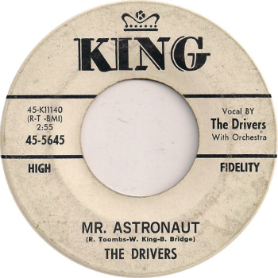 Someone paid $271 in 2014 for a copy of The Drivers’ King 45. 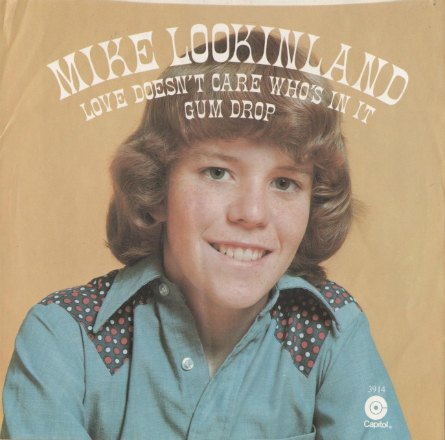 In 1974, Mike Lookinland (TV’s “Bobby Brady”) laid down his version of “Gum Drop” — a Rudy Toombs song that would be designated the B-side of his one and only record release. Initially recorded by Otis Williams and the Charms, “Gum Drop” would appear to have served as the launching pad for fellow King artists, The Gum Drops. Check it out: 1956 Otis Williams & the Charms “Gum Drop” EP sold for $209 in 2016. Check out the “Publication Timeline” in OCLC’s fabulous WorldCat database (combined holdings of member libraries worldwide) for Toombs, Rudolph which utilizes a color-coded bar graph to illustrate the extent of publishing activity during the artist’s lifetime, as well as after.